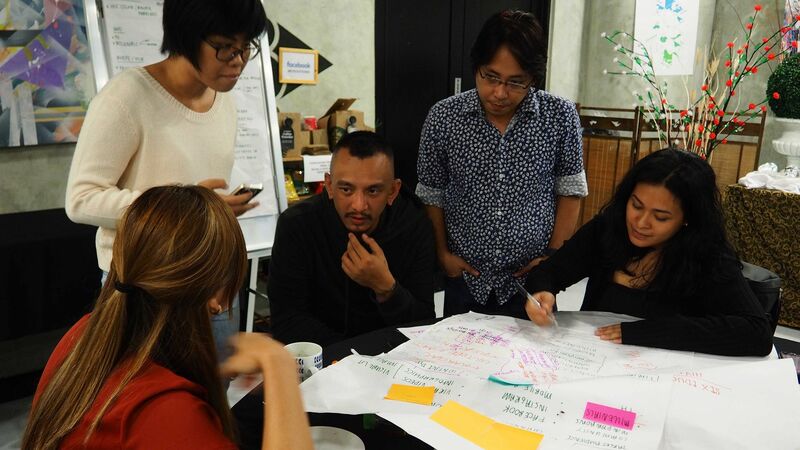 Our social impact hackathons are intense, organized experiences where teams compete to hack (a.k.a creatively solve) a local counterspeech challenge and develop prototype tools, products, services, and initiatives. To date, they have reached over 1.4 million people. Nearly two dozen qualified participants are selected for each hackathon after an extensive online application, assessment, and vetting process. The process ensures that participants represent diverse ethnicities, age groups, professions, and skill sets to avoid groupthink and ensure innovation. Together with Affinis Labs, we kick off each hackathon with a free social media training workshop, usually hosted at a local coworking space. Community leaders, the tech sector, entrepreneurs, journalists, students, and the public sector are invited to hear social media and storytelling experts share how to create compelling narratives and viral content that can reach global audiences. On the second day, participants form teams, ideate, develop concepts, build prototypes, and test, iterate, and refine the prototypes. Local entrepreneurs serve as mentors, giving critical feedback and helping teams polish and refine their concepts and prototypes. On the third day, the teams finalize their prototypes and prepare for the evening pitch session, which is open to the public and live-streamed. At the pitch session, the teams spend 10 minutes pitching their solutions in front of a judging panel, live audience, and online crowd. The winning ideas, chosen by both the judges and the audience, receive seed funding and support for full development to ensure their ideas become a reality. The hackathons have built networks of like-minded individuals, expanded the capacity of new and existing ideas, generated momentum and excitement, and empowered a new generation of creative solutions to online challenges. To date, the hackathons have been held in Manila, Dhaka, Jakarta, and the United States, and have reached over 1.4MM people around the world. Beda Tapi Satu, meaning “Different But One”, brought together young Indonesians to create digital tools and platforms that promote Indonesia’s cultural heritage of coexistence and ethnic, linguistic, and religious diversity. The hackathon was created to recognize and celebrate the resilience of Indonesian diversity and to counter hateful narratives seeking to divide Indonesia along religious and ethnic lines. The participants included Muslims, Christians, students, teachers, entrepreneurs, coders, a stand up comedian, and many others. 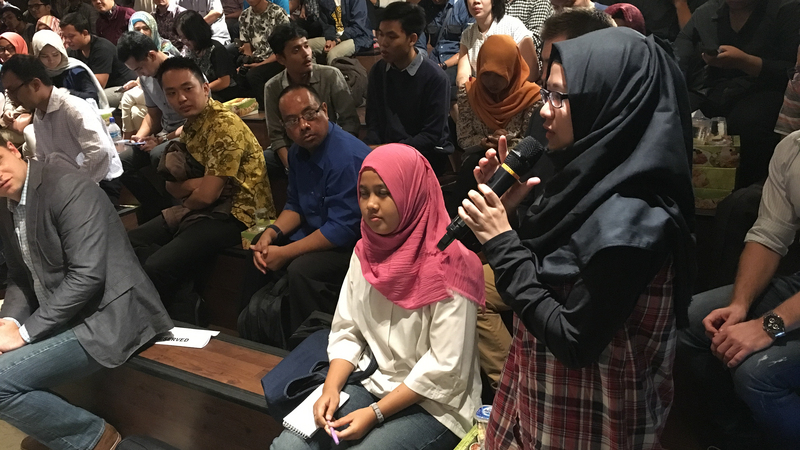 Nearly half of the two dozen participants were from outside of Jakarta, representing rural communities and islands that are often neglected. The winning idea, Asikin Aja!, is an informative and entertaining YouTube series featuring short videos that use humor and graphics to debunk misinformation that is spread through social media. Want to learn more? Check out the Asikin Aja! Facebook page. 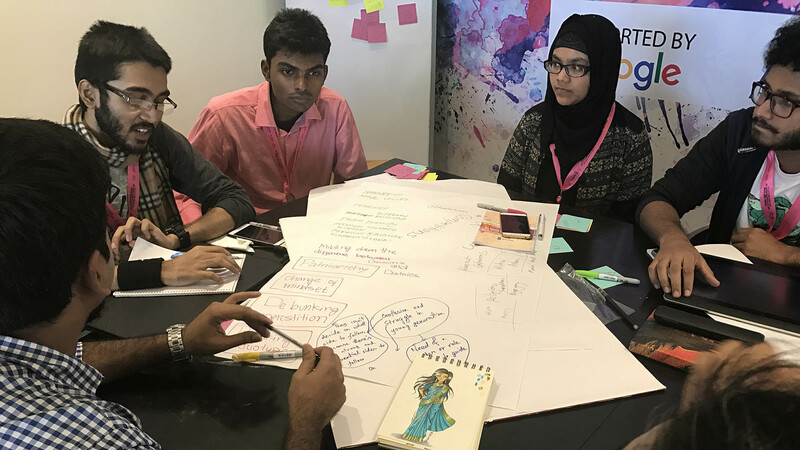 The Digital Khichuri Challenge focused on creating stories and online campaigns that promote peace and celebrate the strength of Bangladesh’s diversity. The name is inspired by the traditional dish, Khichuri, a rich blend of lentils, rice, and spice. It exemplifies the Bangladeshi cultural landscape. Teams of social entrepreneurs, programmers, grassroots leaders, designers, storytellers, students, and others competed in the challenge. The ideas were so innovative and impactful that the United Nations Development Programme and IT Ministry of Bangladesh offered additional prize funding, enabling three teams to move forward with their initiatives. The first place winner was Onimikh, an online platform that uses graphic novels and comic books that incorporate Bangladeshi culture to appeal to those seeking more representation of their culture outside of Bangladesh. The digital stories showcase art from up-and-coming Bangladeshi storytellers, with the goal of promoting peace and tolerance. Want to learn more? Check out the Onimikh Facebook page. The Digital Halo-Halo Hackathon was organized to create new platforms and tools that strengthen the digital literacy of Filipinos and promote positive online dialogue and engagement. The name comes from it’s Tagalong meaning, “mixed together.” It is also a traditional dessert — made of ice, milk, sugar, exotic fruits, jelly, and other ingredients — that symbolizes diversity in the Philippines. Nearly two dozen Filipinos from various professions and communities — LGBTQ, the tech sector, teachers, students, journalists, and others — attended the hackathon. Mentors and judges included entrepreneurs and journalists, like Vincent Golangco, creator of WhenInManila.com, and Maria Ressa, award-winning journalist and creator of the online news site Rappler.com. The winning idea, MError, is a Facebook plug-in that highlights words and phrases used on social media and alerts users of language that could be interpreted as hostile. Affinis Labs is an award-winning social innovation firm that helps clients tackle global challenges through entrepreneurship. They partner with organizations — like Facebook, Google, 500 Startups, and the United Nations — to develop solutions to crises that could undermine our collective futures. Some of the crises they’ve worked on to date include epidemics of conflict and instability, refugee crises, youth unemployment, and dangerous online trends. Affinis Labs believes entrepreneurship provides a powerful framework and tools for driving positive social impact. Want to get involved? Interested in learning more? We'd love to hear from you. If you have questions about our counterspeech initiatives and resources, or would like to tell us about counterspeech you created on Facebook, please reach out to start the conversation using the form below. All fields are required.